I've witnessed several "real" miracles in my life and truly believe that He gifts to us those moments to remember them, make them ours, to share them with others and shape who we are. I recently had the great priviledge to share my daughter Victoria's miracle with a women's fellowship and although it has taken me years to talk about it, the warmth and love that eminated from the room as I spoke was immeasurable. There was no judging, no contempt, just a love in Christ from fellow christian moms that just filled my heart with blessings. When I saw the SSCC this week, I started to make a card and it all just flowed! Psalm 23, "The Lord is my shepherd; I shall not want. He makes me lie down in green pastures. He leads me beside still waters. He restores my soul. He leads me in paths of righteousness for his name's sake. Even though I walk through the valley of the shadow of death, I will fear no evil, for you are with me; your rod and your staff they comfort me. You prepare a table before me in the presence of my enemies; you anoint my head with oil; my cup overflows. Surely goodness and mercy shall follow me all the days of my life, and I shall dwell in the house of the Lord forever." Challenge: Use the colors blue (still waters) and green (green pastures) as the predominate colors in your card/project. What a joy! That is my favorite color combination! 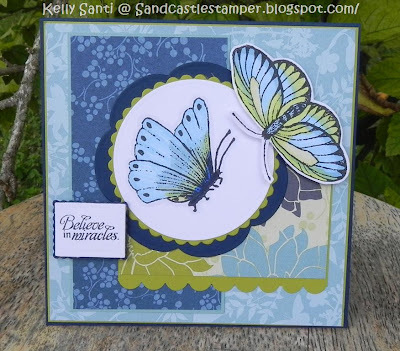 I used a cardstock base of Kiwi Kiss, Baja Breeze & Night of Navy with PTI white and one of my cherished DSP's - Urban Garden! 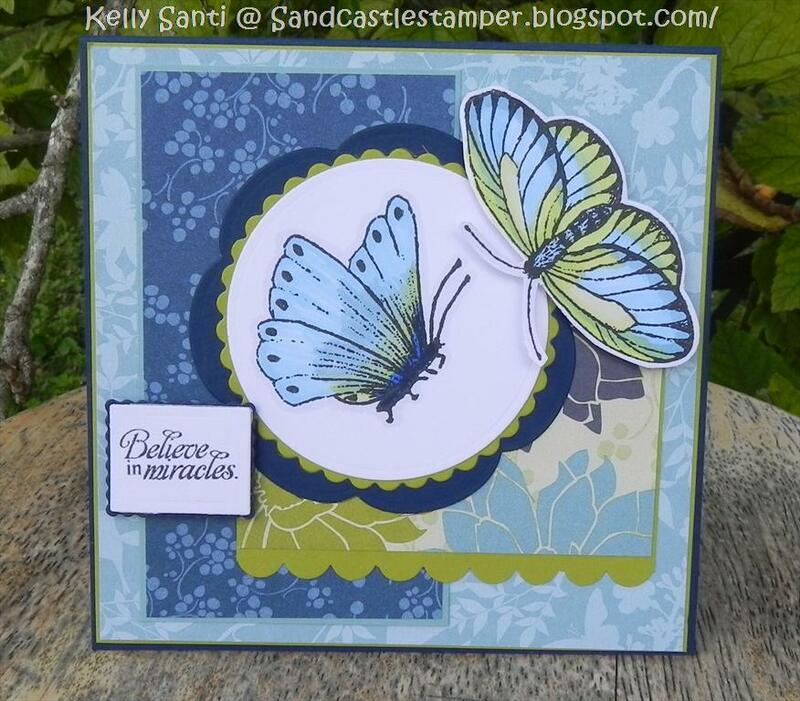 The butterflies are from SSNS called "Everyday Miracles", colored with my prismacolor markers in matching shades. I decorated the inside as well so that I can write my daughter a very special note as she is one my very true miracles! Who needs some sunshine?! I know most of you are buried under winter cold and snow, but here in sunny South Florida, one blogger (me!) is missing her some winter! 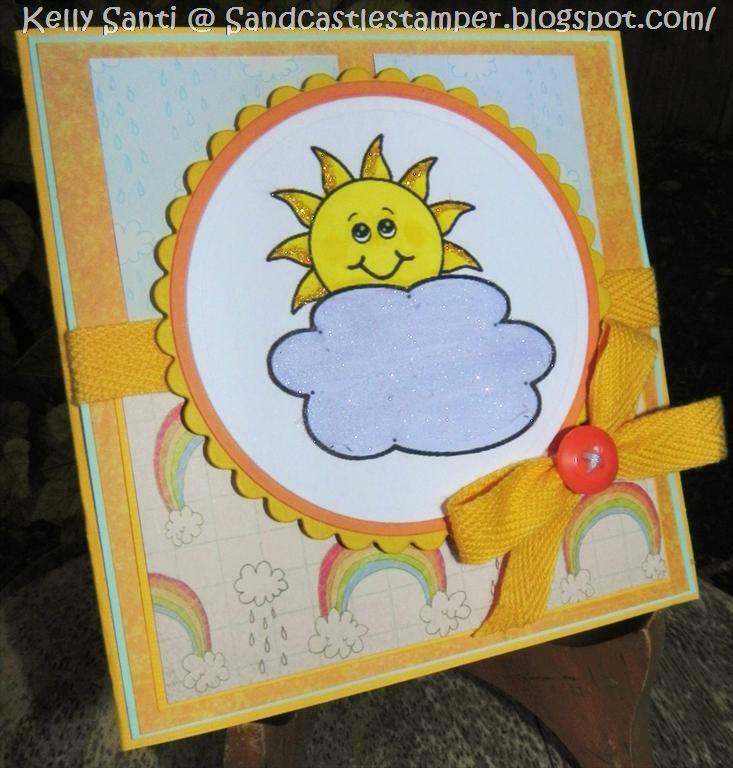 :) I thought I'd share some warm sunshine with you Deedee's style! 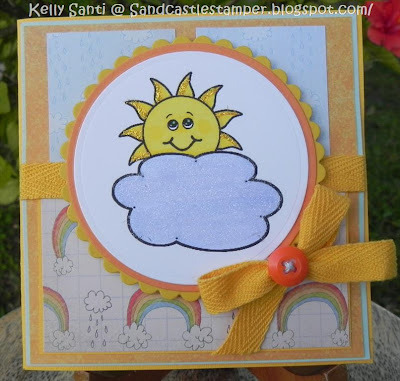 This little "Hello, Sunshine" digi is a new release - you can scoop it up exclusively over at CDAC and will also be available as a Dollar Digi in a couple of weeks! 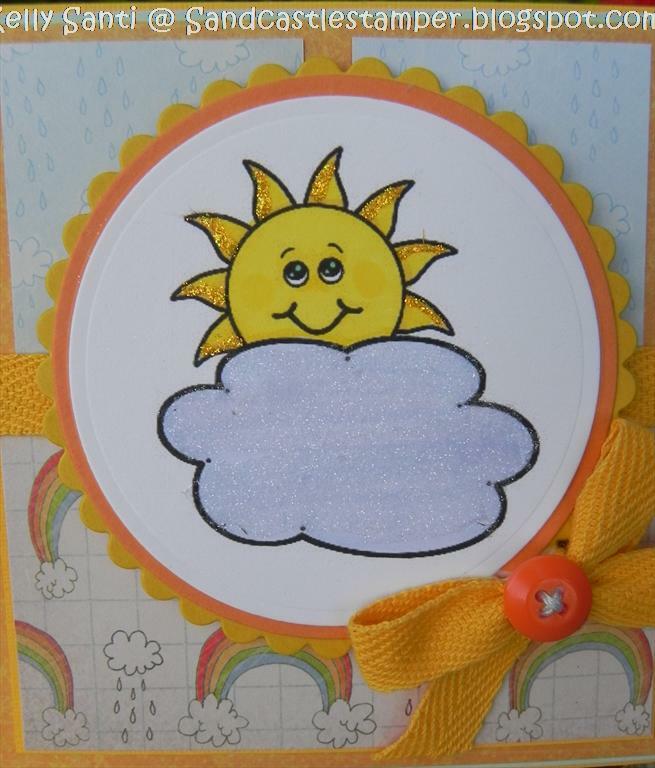 This little sunshine digi just squeals with happiness! For my card, after coloring the sushine and cloud, I added stickles and very fine glitter to make them both shine a bit ;) I do hope the sun is shining for you today and it won't be long before spring is here! 2. 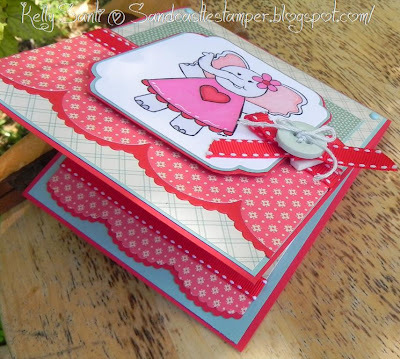 PaperPlay challenge - layer it up! 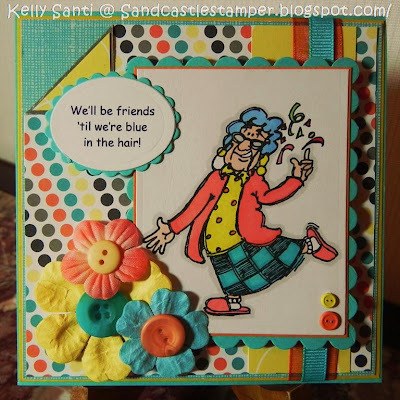 Card deets: SU! Crushed Curry, Cool Carribbean, PTI White, DSP = K & Company, Image: Deedee's Digis "Hello Sunshine! 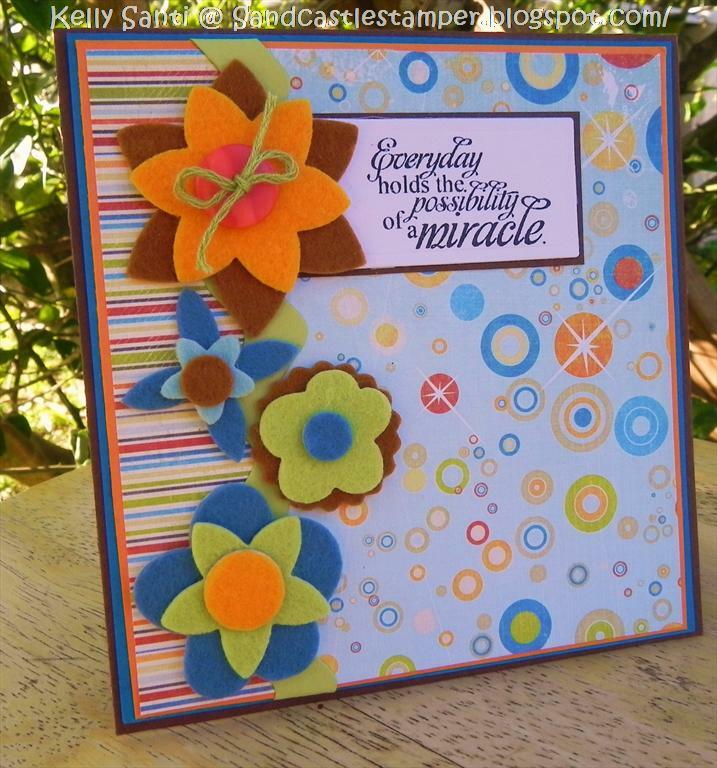 ", Cuttlebug, nesties, prisma color markers, twill ribbon, 3 d dots, tombo, yellow stickles, Martha Stewart very fine glitter, button, twine. 2. Use your favorite embellishments - mine are buttons! I cannot get enough of buttons! 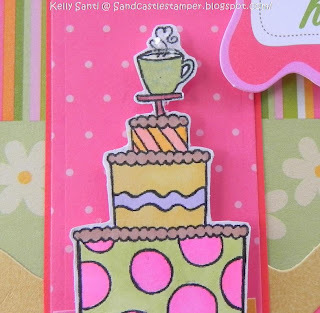 My card is a reflection of my personality, too :) I LOVE color. I love to use colors that are bright and fun and whimsical. So my "Valentine" card is actually pretty out there as per non-traditional, lol, but I'm not a pink girly girly kinda girl ;) I used my My Mind's Eye "Love me Do" dsp from (last year!) and used a sort of spin off of a TSG sketch from a few months back. 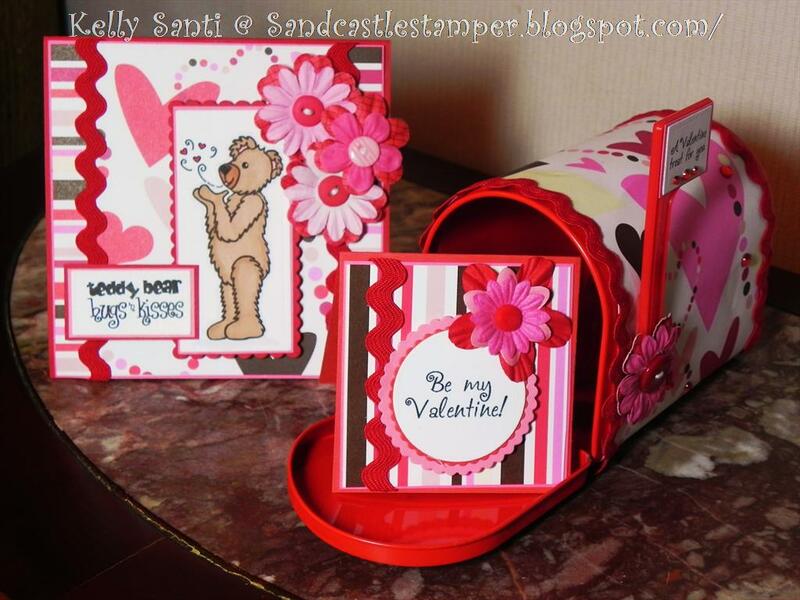 The stamp is a sweet little heart bear from Elzybells. For the heart, I carried over the dsp by paper piecing, one of my fave techniques! 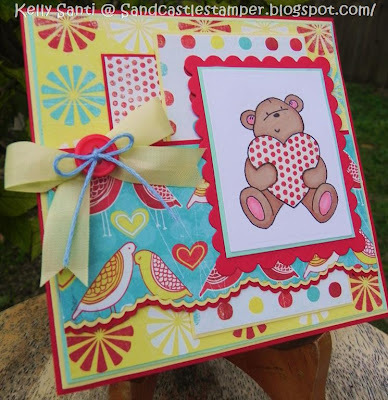 Rainbow Lady's Challenge - Beary Good! Want to see what the other Calendar Girls have made? 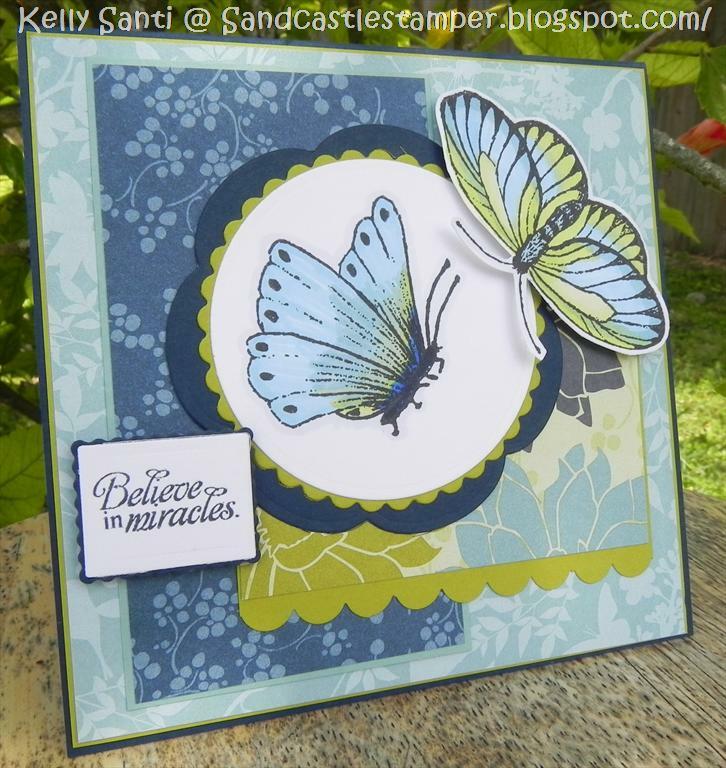 Be sure to check out the CG's blogs - I know I can't wait to see what they've made! And my take on this photo was to make a recessed window card! I have a treasured Whirly bird glitter paper pad with a nearly identical patterned paper as the pillows, alas, I must have used it as it wasn't with the rest of the pack! You can find the current challenge HERE! 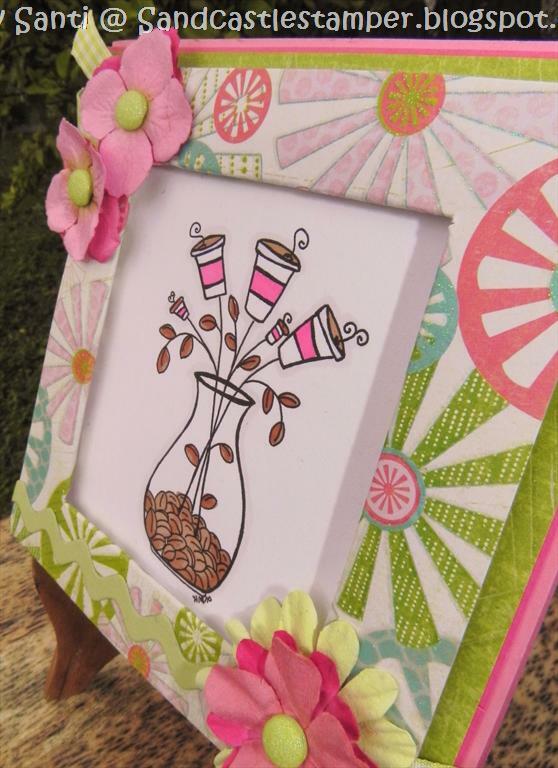 And to see this coffee digi image and more, be sure to stop in and see all the goodies in the shop! It's a N.E.W. Raise the Bar Challenge! And if I counted right that means Jimmylynn is a winner! 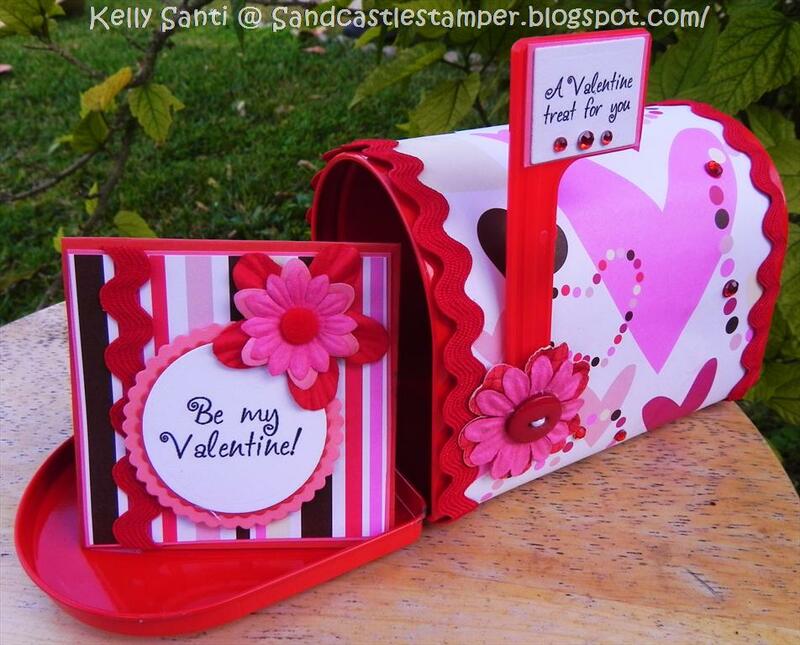 Congratulations and please contact me at Kelnkids@aol.com to get your mailing information. 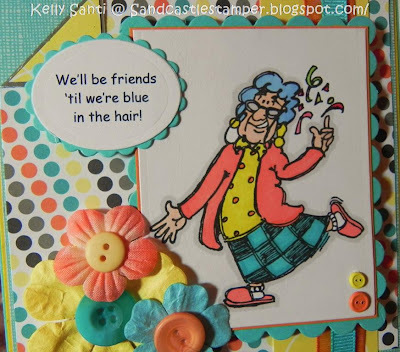 Thanks to all who played and stay tuned for some Birthday Blog Candy coming up! Big hugs to all! 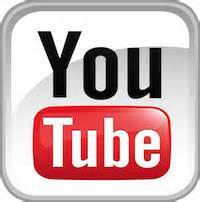 I can't wait to see what you've all been up to on your blogs! Teehee! I always wanted to say that when I'm rich and famous and they ask "what are you going to do now?!" Ready for a Fresh Brewed Blog Hop?! Good morning! Welcome to the FRESH BREWED DESIGNS Valentine's Blog Hop and New Image Release! 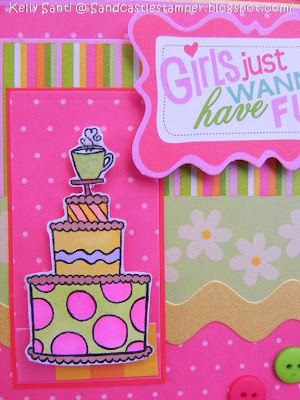 If you're arriving from Lawren's blog then you are at the right place! If not, then please go back to Heather's Coffee Break, the start of the hop. 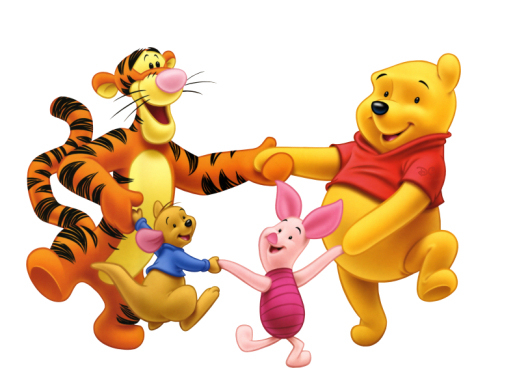 Thank you for taking time out of your schedule to hop along with us. 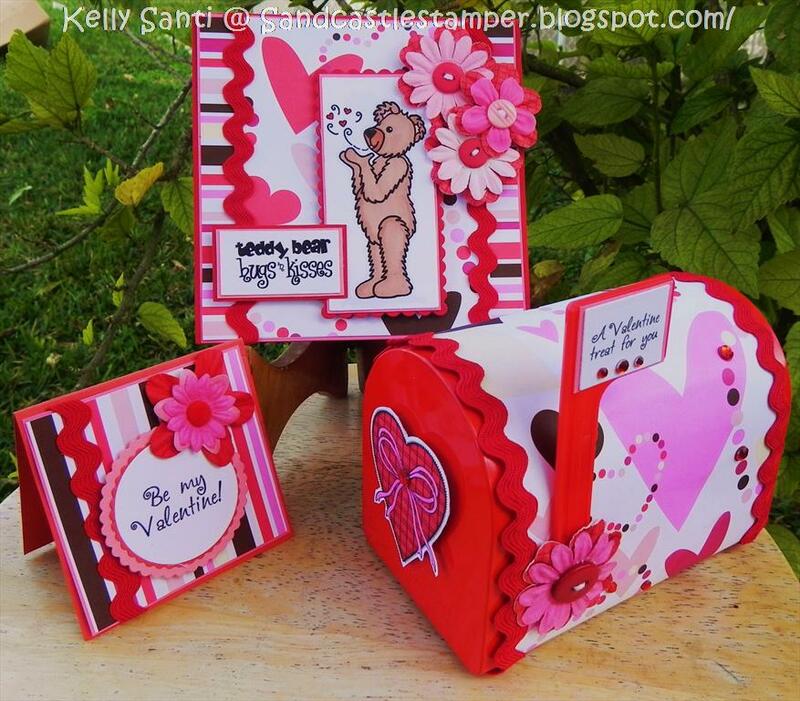 This hop will feature some of the many newly released Valentine's digis available TODAY in the Fresh Brewed Designs Shop! 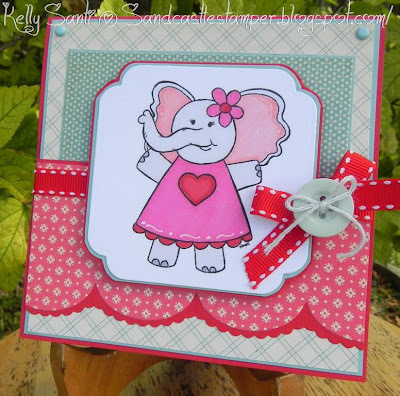 My card for you today was made using Daisy the Elephant - sooo cute! 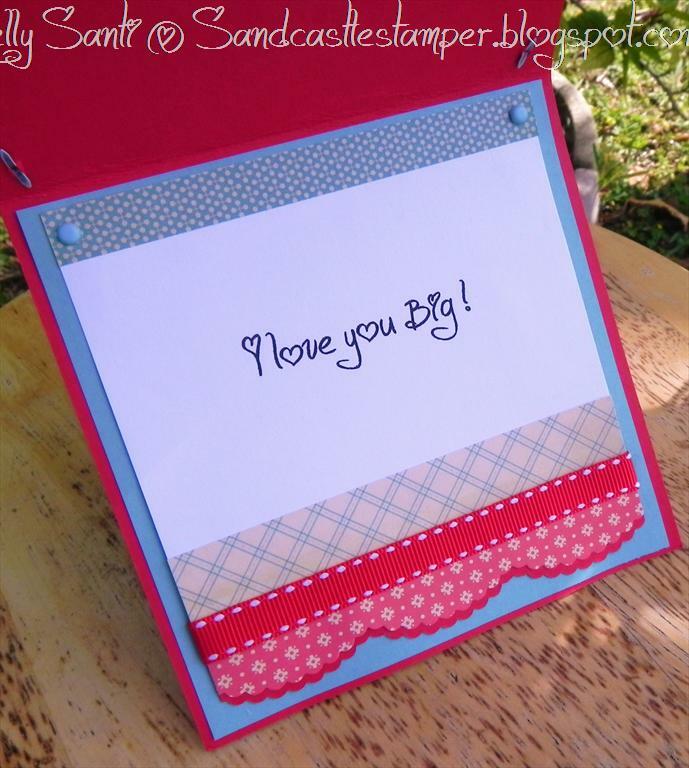 She's gracing the front of this Valentine's card using shades of blue, cream and red :) I kept the paper theme and color scheme on the inside using a sentiment that I share with my son all the time "I Love you Big!" Now here is some really fun news! Everyone hopping today will be entered in a random drawing for a Fresh Brewed Prize, so be sure to leave a comment on each blog you hop to. 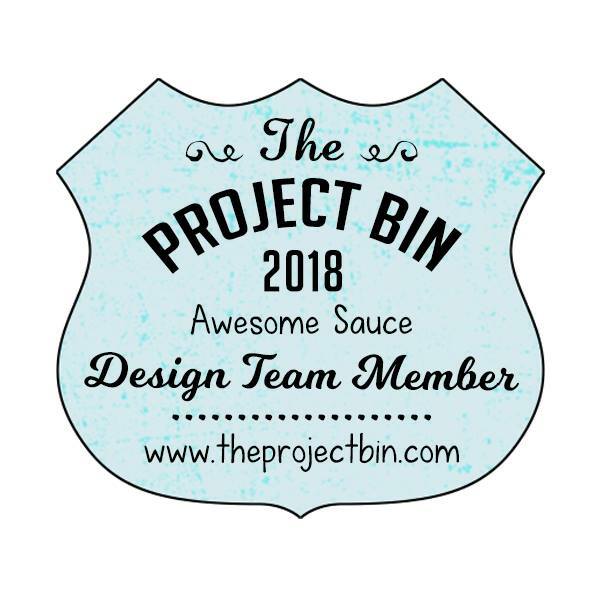 Everyone who snagged the Jan 19 blog badge and emailed Heather will be entered twice! For every 10 hop participants, there will be an extra image added to the prize package for this hop, which means the more you share; the more there will be to win. Thank you so much for coming by today - your next stop on the hop is Audrey! Before you leave I want to let you in on a little secret! Fresh Brewed Designs is getting ready for another Rubber Stamp Release!!! Heather has designed several new stamps to add to the shop including the Cutie Pie featured on the badge below and some new coffee girls. The hop and release will be on March 1.
know. She will add you to a drawing for a special prize that will be announced after the March 1st hop. Thanks again for hopping with us at Fresh Brewed Designs! 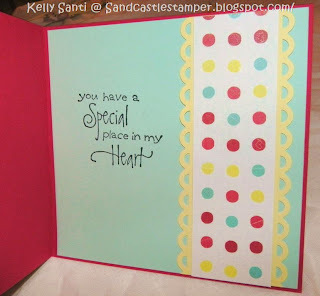 Thanks for stopping by today -- hope to see you, too, over at the challenge blog this week! 2. Mark's Finest Papers - Hearts! 3. The Lollipop Ladies - use black! 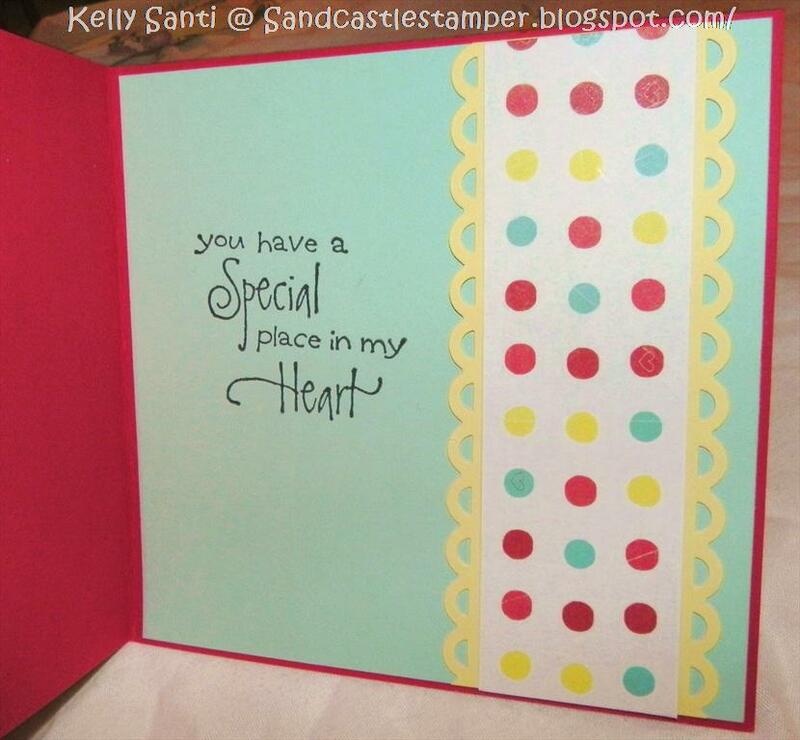 One of the BEST blessings about blogging is keeping in touch with friends and making new ones along the way! 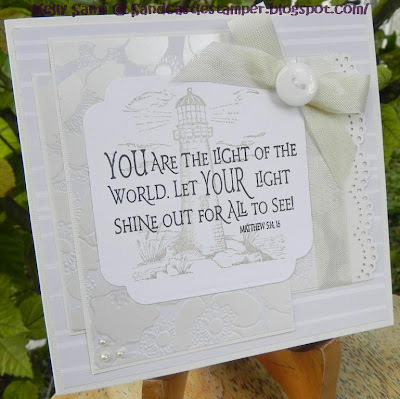 One of those new friends I've met in blogland is Andrea ~ She is so sweet and included me in her list of 8 peeps to pass on this award to .... thank you! 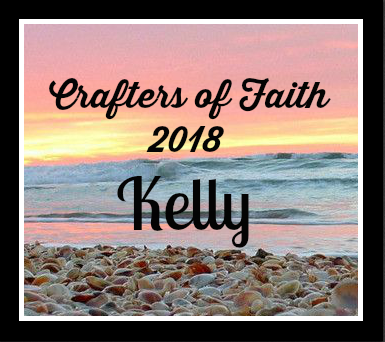 I'm truly humbled :) One of the rules for accepting this award is to pass it on to 8 more blogging friends and list 8 things about me ........ so here goes! 2. I love the sound of rain! 3. I always dreamed of being a writer and wrote short stories and poetry since Middle School. In High School, I had a teacher tell me I had no talent and to stop wasting the world’s time with worthless script :( It broke my heart and I put down the pen for many, many years. I ended up running into her at our HS reunion and said hello ~ she said “oh, I remember you! You were the wonderful, creative writer! Are you a journalist? Author?” I learned later that she had been going through a nasty, bitter divorce and hated the world and was mean-spirited due to personal reasons…. And no, I never did tell her that she crushed my world! 4. I’m a book geek! I browse bookstores for hours and speed read – I often read a book or two a day when time permits. I just got a Kindle for Christmas so I’m REALLY stoked! 5. I absolutely ADORE cooking …. I think I was a chef in a former life. I love to try new foods and flavors and prepare dishes from just about everywhere. 6 . I’m a vegetarian ~ meat in any form gives me the heebie jeebies! I do buy/prepare it for my carnivorous family, but I won’t go anywhere near it. 7. My dream vacation is to go white water rafting … preferably before I get too old to go! Jeanette, Lorie, Michelle and Susan - The best litter of kittens evah! Carol - "just one more order......" rofl! 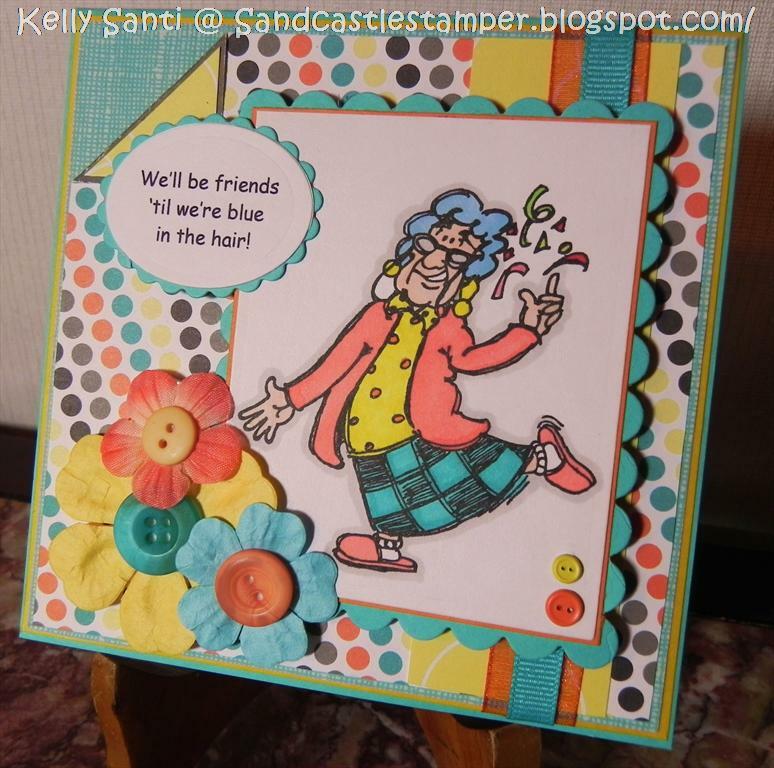 The bright, bold and whimsical colors of the papers and embellies Judy sent to us just made me smile! 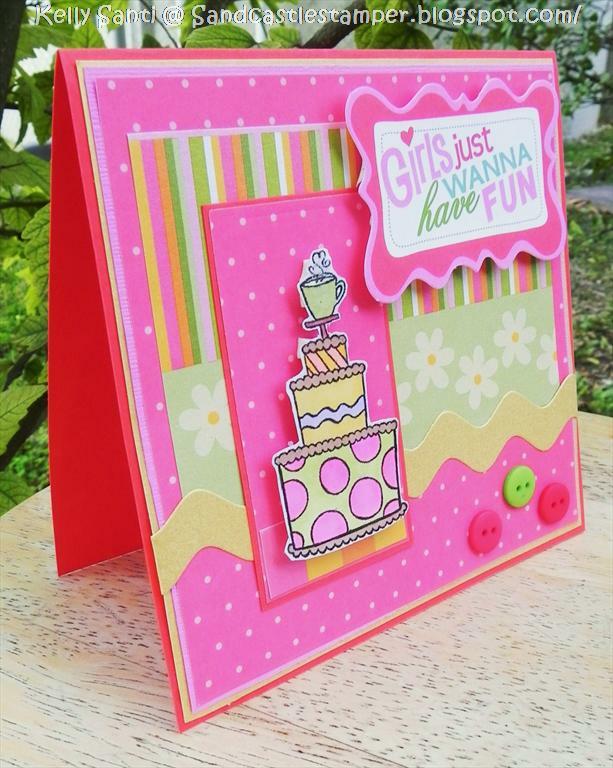 The are such happy and fun colors :) I hope the card I made did justice to her sending us all these wonderful elements - I had a blast making this one! 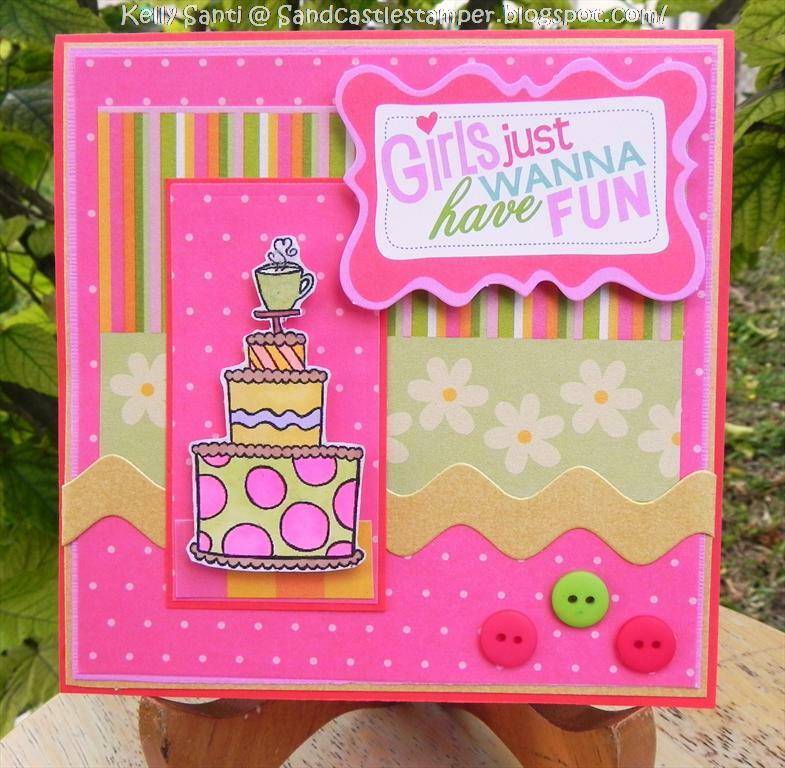 Want to see what the other Divas made using this same image? 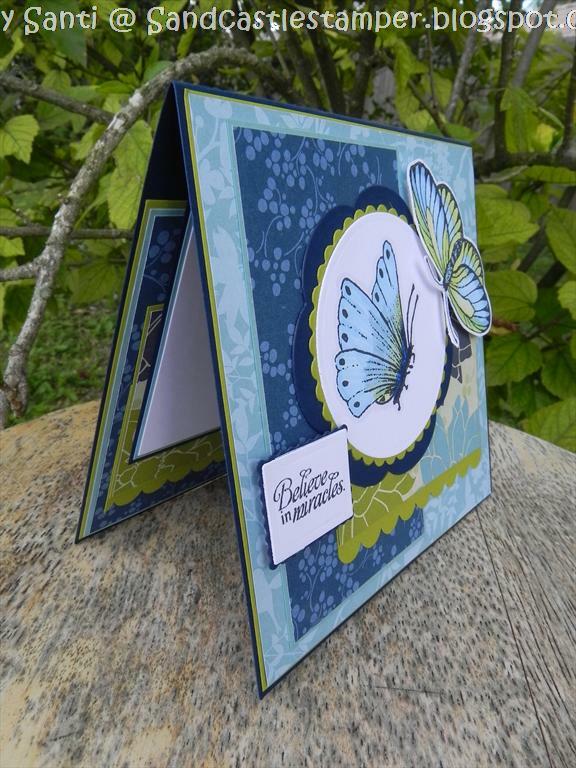 And for the Dazzlers card kit creations, start here at Jeanette's blog and follow the trail of paper goodness! 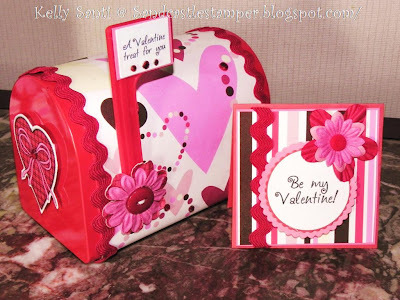 For my BLOG CANDY, click and enter here! 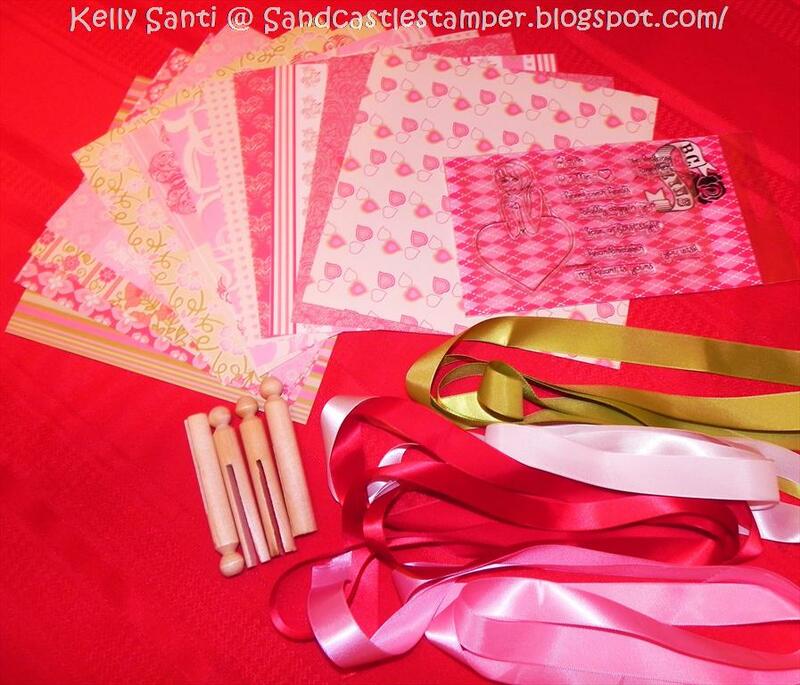 Today's post will be a set using Deedee's Digis! I know many of you have seen these cute little metal mailboxes in many places out in the crafting world and I'm excited to have finally made one, too :) With a little themed paper and some awesome digis from Deedee, I was able to create this darling set! 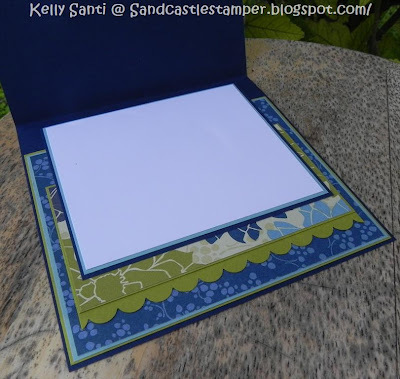 First up, I have a mailbox with a 3 x 3 notecard - how easily a stack could fit in here for easy reach and go or even set of cards, tied together in a little bundle and bow! 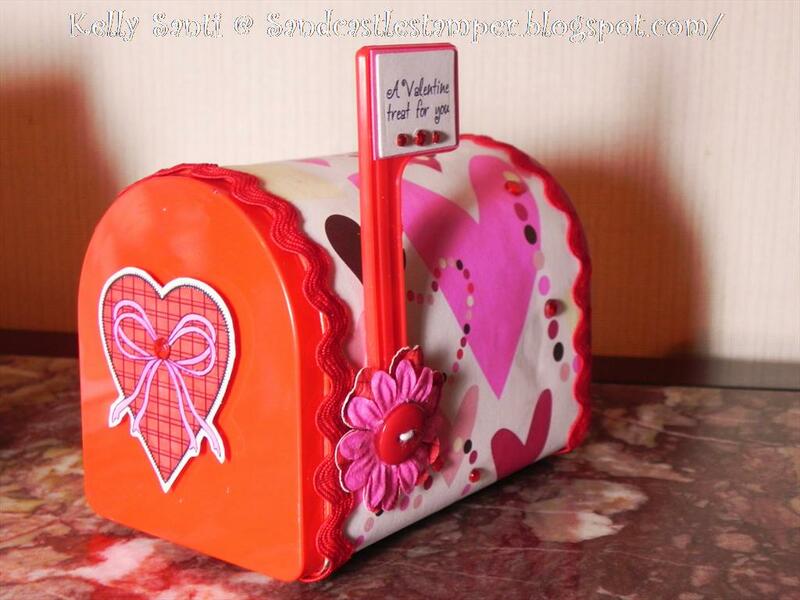 For the mail box, I used a sentiment from Deedee's Valentine's sentiments - available in the store! The heart on the front is also a digi, from the set "Stitched with love". 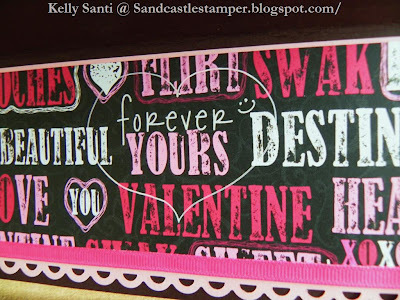 I matched the small 3 x 3 with another sentiment from the Valentine's sentiments set. Lastly, for the larger card, I kept the theme and added the blowing kisses digi set to this card, paired with matching flowers and ric rac ribbon and buttons! Good Morning! 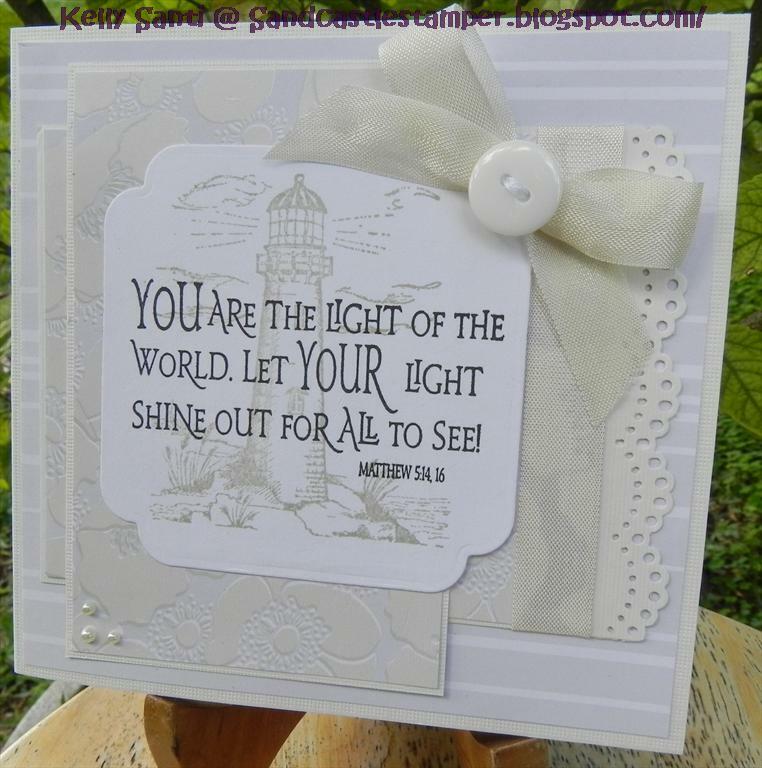 I'm late, very late for my FBD post - so very sorry! I was actually done last night .... woke up today feeling really run down and saw my card and gasped! It was *that bad! * Seriously. So I kept the image and put together another one - still not liking it much, but at least it's up and on my blog. This is going to be a re-do ....... I didn't want not to showcase the image so here he is - sweet little bunny from Fresh Brewed Designs! Isn't he adorable!! You can find him here! I loved listening to this Sam Cook song on the radio growing up :) And this Cupid is an adorable new release image from Inktegrity! 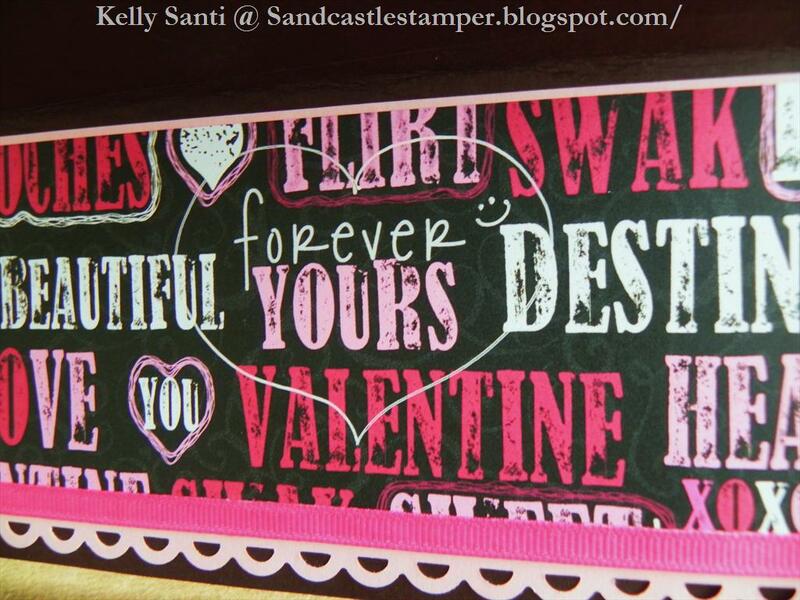 The uber sweet Joni, owner and designer, has him available for you to use on all your upcoming Valentine's cards, scrapbook pages and projects! 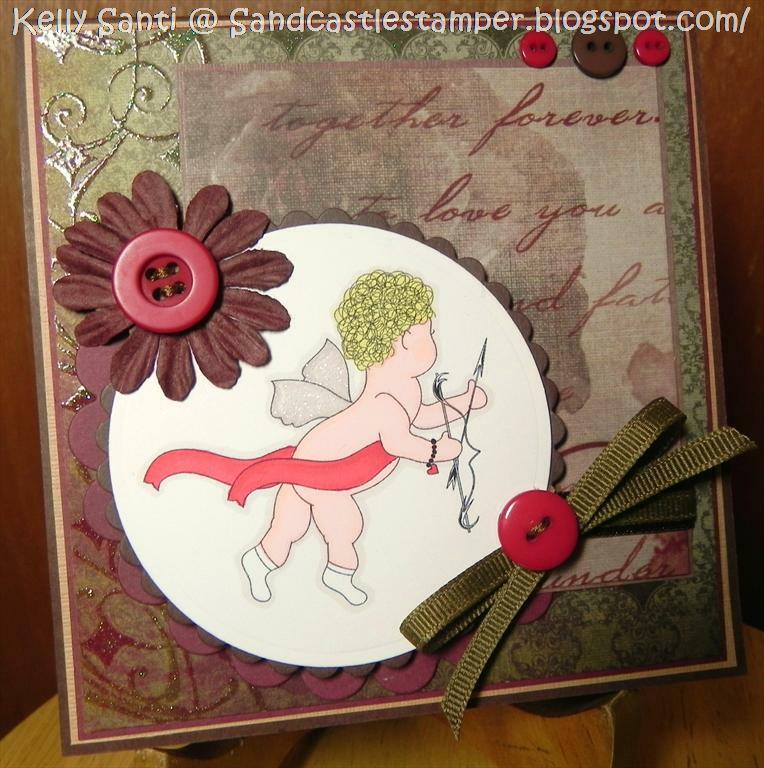 For my card, I wanted to use some non-traditional Valentine's colors. 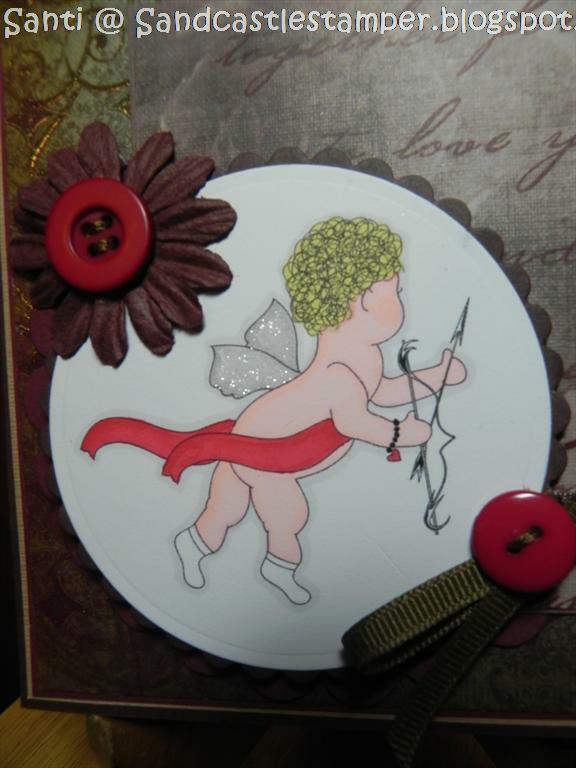 I added some glitter to cupid's wings but it was a bit hard to photograph ;) Since the theme of romance was in the air, I broke open my new Immortal Love stack from DCWV - gaaaaaaaaah, one of the best paper collections evah! 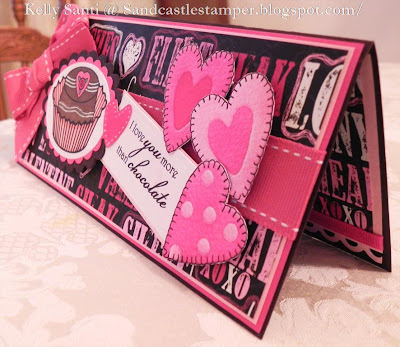 You'll be seeing this gorgeous "Twilight inspired" paper on my blog all week!!! Using scrap SU! 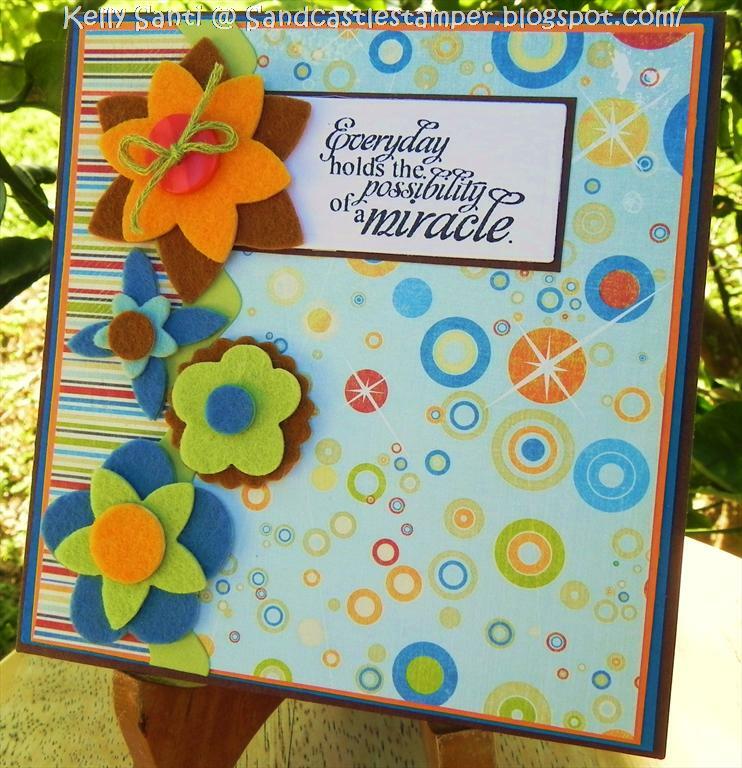 cardstock, some paper from Fancy Pants Fall collection, I stamped a simple sentiment from SNSS, added a border of felt flowers and voila! 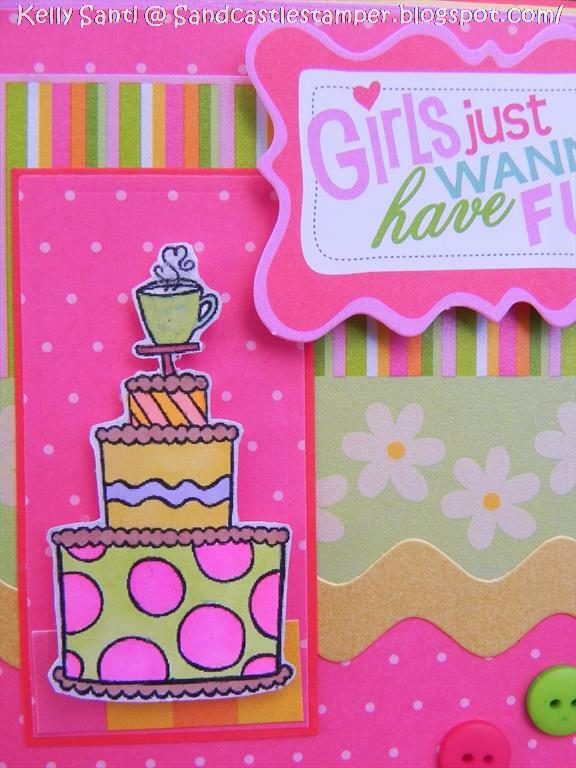 She texted me during lunch to tell me she loved my card but mostly that she loved me more ........ sniff, sniff! I'm so blessed! 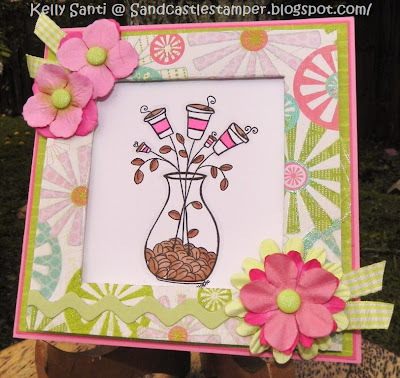 *Karber Weekly Challenge - use Flowers! Morning!! 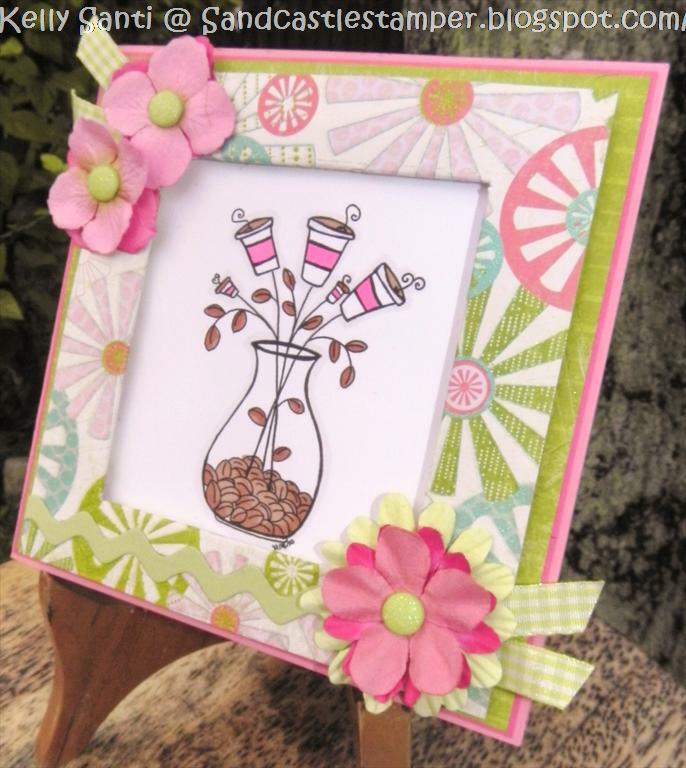 Fresh Brewed Designs brings you a new challenge today - a sketch! With many birthdays coming up in the next few weeks, I am getting a head start by using this lovely image (coffee cake) ~ it reminded me so much of my daughter's Sweet 16 wonky birthday cake that came out soooo beautiful! She designed it and chose the color theme and we couldn't have been more pleased with the baker's final product .... and did it ever taste scrumptious!! Want to play along? Click HERE for the latest challenge which starts today! We'd love to see your creations! Need some Fresh Brewed digis? Heather (owner and designer) has a freebie section! You can find it HERE! Lastly, please stop back by on January 19th for a Blog Hop! First Sunday means Kit-Cat Sunday!